AMAG Technology is an integrated security provider of access control, video management, and visitor management solutions. Symmetry™ products give customers a comprehensive end-to-end software platform so users can manage all their security needs while reducing risk and meeting industry compliance. These solutions have been designed and manufactured to meet the most rigorous requirements of multi-national, multi-building and campus environments while still being scalable enough for less complex systems for those buildings only requiring one or two doors and/or cameras. AMAG Technology’s Symmetry™ Unified Security Management Solutions can be found in a wide spectrum of markets: government, commercial, education, transportation, healthcare, utilities, and finance. Symmetry architecture has been rigorously tested and approved for federal government compliance by Federal Identity, Credential, and Access Management (FICAM), HSPD-12 and FIPS-201 regulations. Headquartered in Torrance, California with sales and support located throughout the Americas, EMEA, and APAC, AMAG provides customers with industry-leading security solutions. AMAG Technology is part of G4S plc, the leading global integrated security company which is active in more than 100 countries. 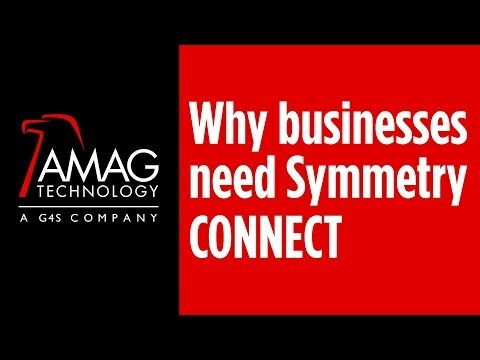 As AMAG Technology looks to the future, the next generation of products will bring the core aspects of security to evolve beyond integrated solutions – Symmetry.